This Nov. 13, 2017, file photo shows Elizabeth Smart at the Lifetime and NeueHouse Women's Forum screening of "I Am Elizabeth Smart" at NeueHouse Madison Square in New York City. Elizabeth Smart, who was held captive for nine months as a teenager in the early 2000s, said that the discovery of missing Wisconsin teen Jayme Closs alive on Thursday left her "thrilled," NBC News reported. "What a miracle!!! Jayme Closs has been found!!!! I’m so thrilled to hear the news," Smart wrote on Instagram Friday morning. "What has been such a heart wrenching tragedy finally has some happiness in the story." Jayme had been missing since Oct. 15, when her parents were found fatally shot at their home in Barron. The 13-year-old was found in a remote area about 70 miles away, and more details on what happened are expected at a news conference later Friday. Smart was taken at knifepoint from her bedroom in Salt Lake City in 2002 and has become an advocate against child abduction. 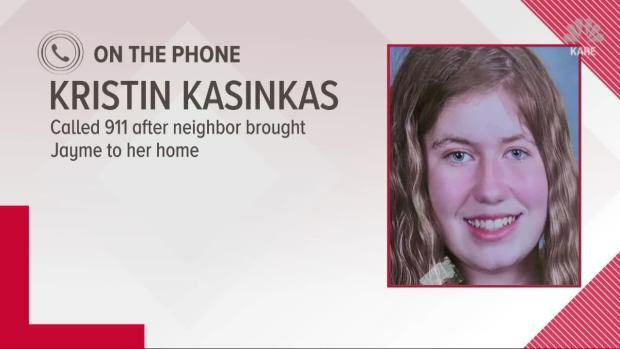 Kristin Kasinkas describes the moment a neighbor brought missing teen Jayme Closs to her home in Gordon, Wisconsin, asking to call the police. Closs went missing on Oct. 15, after her parents were killed in their home less than an hour away.